Avendus advises Paras Healthcare in raising INR 275 crore from Creador LLP. Paras Healthcare Private Ltd., one of the leading North India based Healthcare services provider has completed an INR 275 crores fundraising transaction with Creador LLP, a South and Southeast Asia focused Private Equity firm. Paras Healthcare runs a chain of multi-specialty and mother and child care hospitals in Gurgaon, Delhi, Patna, Darbhanga and Panchkula. The company currently has more than 700 operational beds. The fund raise is aimed at expanding into new locations in North India as well as expansion of existing facilities. Founded in 2006 by Dr. Dharminder Kumar Nagar, Paras Healthcare started operations by providing high quality specialized tertiary medical care services at affordable prices. 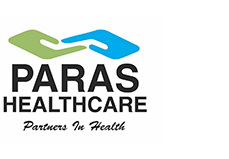 Paras’ business expansion plan adheres to addressing one or more of the company’s three tenets of healthcare – accessibility of health care services in the region, presence of high quality affordable healthcare at the location and existence of an institutionalized trusted healthcare services provider. Paras was one of the early multi-specialty healthcare service providers in Gurgaon and the first multi-specialty private hospital in Patna and Darbhanga. Avendus Capital was the exclusive financial advisor to Paras for this transaction and Khaitan & Co were the legal advisors.